In Colorado Echo Mountain will close for the season after this weekend, as will Loveland, one of the world's highest resorts. Echo reported 17cm (7 inches) of new snow last weekend. In Utah, Snowbird has passed its 1250cm (500 inches) of snowfall target for the third consecutive year. A recent storm brought another 15cm (6 inches) to the slopes. Snowbird is now the only ski area in Utah still open for skiing and snowboarding and plans to remain open to late May. 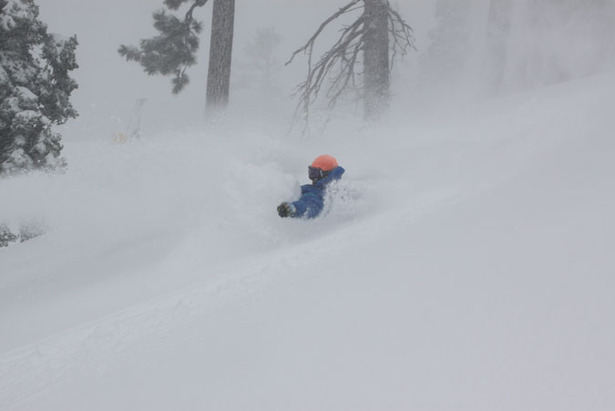 In California Squaw Valley and Mammoth remain open, as does Mountain High in the south of the state which now plans to remain open through to May 2nd making this the longest season in its history. The resort will have been open a total of 186 days beating out the winter of 2004/05 by five days. "Yup, it's been a long winter. Once we hit May, we'll have operated in eight different months. Not many resorts in the world can say that." said John McColly, Director of Marketing. In Canada Lake Louise and Sunshine in Alberta and Whistler in British Columbia are still open.